The Avicultural Society is affiliated to the Foreign Bird Federation so that its members can both benefit from and contribute to the combined voice with which the Federation can represent the interests of foreign bird keepers both within the NCA and in the wider world. The society was actively involved in the reactivation of the Federation, and was providing regular financial support to the FBF Breeding Register before this, and continues to do so. The Society is keen to encourage any form of co-operation between individuals and organizations for the benefit of avicultural progress, and runs a number of Special Interest Groups for keepers of particular species and groups of species, especially softbills, to encourage the exchange of information and birds to help establish these species in captivity. These groups are open to all. The society is uniquely placed to promote co-operation between private keepers and zoos because of the number of zoo professionals among its members. It also has a conservation fund which supports research and conservation projects on birds in the wild. 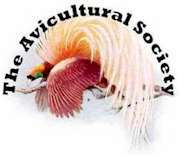 The Avicultural Society is an independent, non-profit making organisation founded in 1894 "for the study of British and foreign birds in the wild and in captivity." It covers the keeping and breeding of all types of birds other than domesticated varieties such as canaries, budgerigars, Bengalese and Zebra Finches, etc. It has a broad-based membership of amateur (private) and professional aviculturists in many countries around the world, though predominantly in the UK (where it is based) and in the USA. If you would like to join The Avicultural Society and receive the AVICULTURAL MAGAZINE, the subscription is £21 per year in the UK and £24 overseas (plus an additional £6 if you wish to receive your magazines by airmail). Payment should be in UK currency. The annual membership is due on January lst each year. Those joining later in the year will receive back issues of the current volume of the magazine. You can learn a whole lot more about the Avicultural Society by visiting its website - www.avisoc.co.uk - which has all the relevant information about the society, along with a selection of articles from previous issues and an index listing every article which has appeared in the magazine since the first issue was published way back in November 1894. The website can be used to join the society and to order back issues of the magazine. The society has a large stock mostly from 1935 onwards but also has some earlier issues still available. Those living outside the UK may be able to pay by credit card through a PayPal invoice, but this service is not available in all countries.